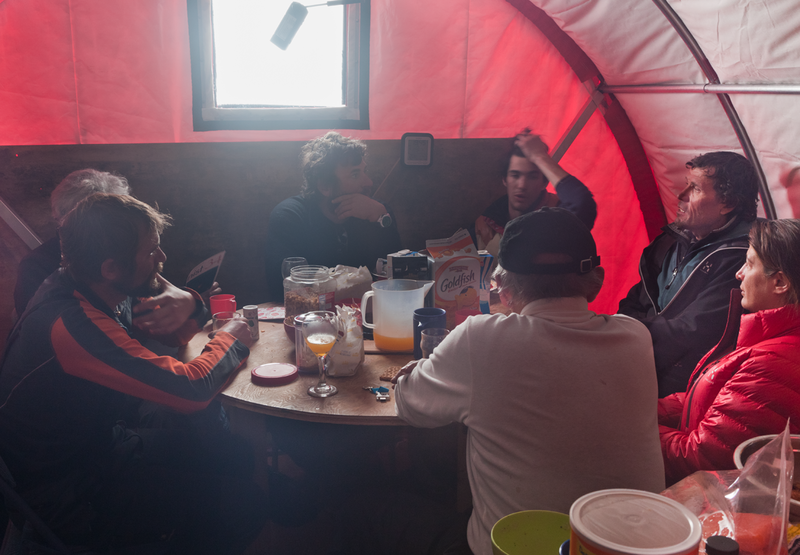 In May 2011, photographer and filmmaker, Corina Gamma, was invited to spent 2 weeks at Swiss Camp, a climate research station located on Greenland’s ice cap. This research station was founded in 1990 by Swiss climatologist Dr. Konrad Steffen. That same year, the first automated weather station was built and marked the beginning of Greenland Climate Network (GC-Net), which has been measuring the ice and the atmosphere for nearly 30 years. In the 90’s, there was very little talk about global warming. 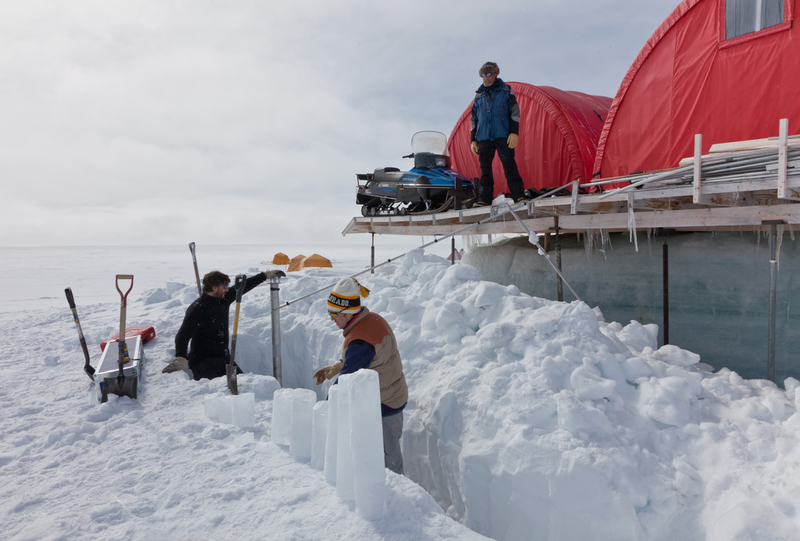 Today, climate change is a pressing topic and Swiss Camp has become one of the most important climate research stations and with its state-of-the-art technology measures hourly the conditions of Greenland’s ice sheets and its altering state. 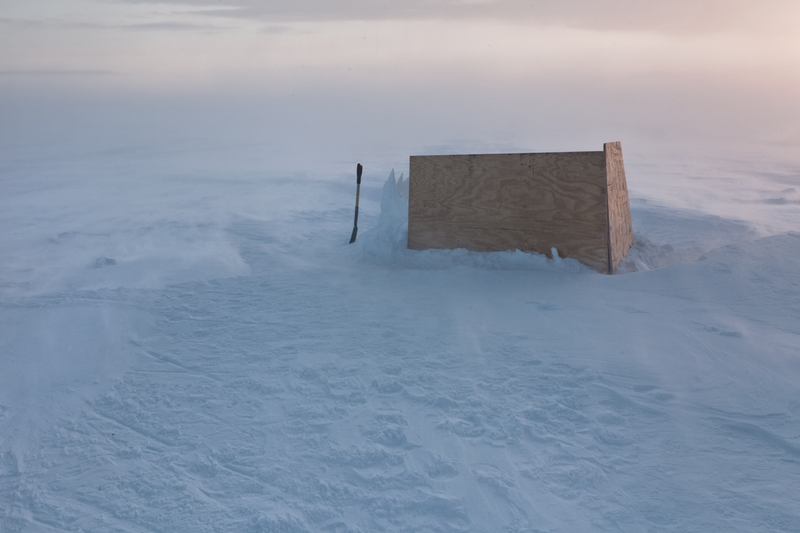 On the large expanse of the ice sheet, the researchers are rebuilding a weather station that fell during a storm, which measured 150 km/hr. Most equipment remained intact under the snow. Konrad Steffen’s group maintains 18 weather stations throughout Greenlands Ice Cap. Each station measures temperature, wind speed and direction, snow level and GPS location. When not out on the field, the group gathers for a hot meal. No kitchen is too small for NASA scientist Jay Zwally to prepare up a five-star meal; Miso Soup, followed by fresh Sushi. Swiss Camp is located on a slope, therefore the winds are strong and constant. The snow drift changes the landscape around the camp on a daily basis, and shoveling snow takes up a big part of the day. The famous latrine at the Swiss Camp, with the most romantic view!